Need help with Laminated projects? Lamination is a popular option for many printed pieces, especially those that will experience frequent handling or be exposed to dirty, greasy or damp environments. 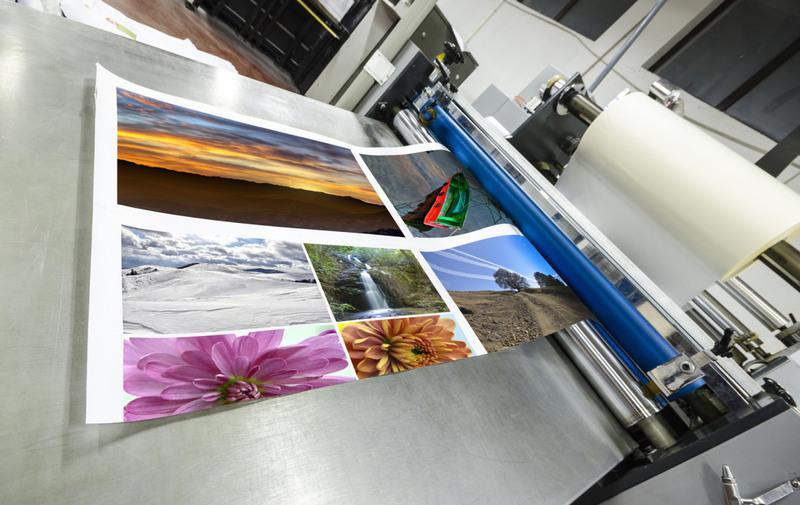 However, many quick printers, copy shops and other commercial printers do not have the equipment to produce laminated pieces, nor can they justify buying laminating equipment based on the occasional need. So if one of these printer's customers should request laminated printing, they often decline the project. By declining, three negative outcomes usually occur. First, the printer misses an opportunity to expand the client relationship. Second, the printer forgoes the chance to earn additional profit for the business. Third, the printer inadvertently opens the door to a competitor. Sometimes, a printer may arrange to print the base material in-house and then send it elsewhere to be laminated. However, this can become quite a hassle as well, because it involves extra handling and the shipping of bulky boxes back and forth. If you are a commercial printer and any of the above describes your situation, you should consider outsourcing your laminated print projects to Formax. This will enable you to profit from laminated projects that you might otherwise be compelled to decline…and outsourcing is super simple! It is a very easy process – whether you need price lists, instruction sheets, diagrams, cards, tags, educational materials or any other laminated pieces, you simply takes your customer’s order, forward the specs and artwork to us, then we print and laminate the project at a wholesale rate. Depending on the arrangement, the completed order is then either sent to you for distribution, or blind-shipped directly to your customer. Either way, your relationship with your customer is protected at all times. Print shops that outsource laminated projects have an edge over other printers that say “no” to laminated projects or merely refer the customer to someone else. If you are unable to accept laminated printing orders because you lack the equipment or expertise, you really should explore the many benefits of outsourcing. It’s really quite easy to do, and outsourcing helps you capture profits you might otherwise miss! Do you have additional questions about the advantages of outsourcing your laminated print projects? Just give Formax a call at (314) 434-5500 or (866) 367-6221...or use the quick Contact Form at the bottom of this page.